Remember that song that sings about not knowing much about history? The character in that song (from 1960) is not doing well with his studies because he is obsessed with a love interest. Often when we don’t follow through on something, or pursue an endeavor, it is because we are distracted by something else – or perhaps just too involved with our day to day life to just take a step back and see the things we are missing! One of the things so many people say they would like to do is to explore the nooks and crannies of America – a country that is so rich in history through and through. There are the bigger, more touristy destinations of course – but often the smaller ones are more interesting to discover. Let’s look at some in the North East. There is a 2.5 mile path lined with bricks that encompasses the site of the Boston Massacre, the Paul Revere House, and points to Charlestown in the North where the Bunker and Breed’s Hill Revolutionary War battle took place. It’s the Freedom Trail. The USS Constitution warship is still afloat near this location, and you can board and take the tour. And of course, there are the Pilgrams. A scenic drive out of the city brings you to Plymouth – rich in the history of these early America settlers. 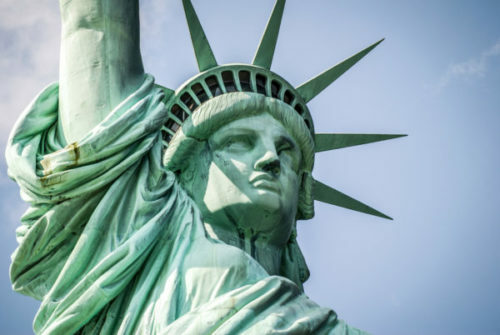 The Statue of Liberty is the iconic destination with so much historical significance. Ellis Island is in the same harbor, where millions of immigrants passed through on their way to a new life in America. On the Upper West Side is the NY Historical Society (right across from the National History Museum. It is New York’s FIRST museum! Their main theme focus stays fresh and changes regularly, but on the 4th floor is a vast collection of artifacts that span from pre-revolutionary days to 9/11. America’s initial capital building site is now the Federal Hall Memorial. George Washington – our first President – was there for his inauguration ceremony. When there, you have to see the Liberty Bell! It is across from the Pennsylvania State House – historically significant as the location where the new nation was conceived by our Founding Fathers. You can also go down under in Philly – to Franklin Court – an underground museum at the site of Benjamin Franklin’s house. The days of clunky, bouncy, noisy buses are OVER! Luxurious modern tour buses are now waiting for you and your senior group to board. Comfortable seats, lots of leg room to stretch out, big windows, temperature controlled environment – a smooth way to get you back in history on your way to these destinations. And along the way on a bus means that there are mini side trip destinations to plan into your itinerary. Food stops don’t have to be at the highway rest areas. There are so many great interesting restaurants along the route for your group to enjoy. Our representatives will help you plan the entire trip, from the main destinations, to lodging, food, and all the big and little points of interest. All of it will be in the company of good friends spending quality time together on a road trip that explores history AND becomes historically significant in your life – and a great memory of a wonderful get-a-way!